The continuation of “Top 10 iPhone Apps – Part 1”. Instead of boring all of our readers with a long introduction paragraph I’m going to just dive right in. Genius Scan+ is a great easy way to quickly scan documents on the go. 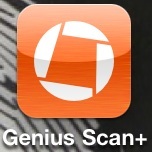 Genius Scan+ allows for you to quickly scan any document using your iPhone camera and save it as a PDF or a JPEG. The great thing about this app is it also allows you to email the documents that you have scanned. I have used this app more than once, I love to cook and it’s a great way to grab recipes on the go. There have been many occasions where I am at a family members house and spotted a couple of recipes that I wouldn’t mind taking home with me. Instead of me writing the recipes down or having my family member run copies for me, I just whip out my iPhone and scan the recipe and instantly it’s saved onto my phone. There have been a few occasions where I actually needed to send the recipe to someone via email. This app is pretty handy for a person on the go, especially if they like to cook. Ringtone Designer Pro is a great way to make your own ringtones from songs you already own. Instead of buying different ringtones at 99 cents a piece I chose to buy one app for 99 cents that allows me to choose which songs I want to make ringtones out of. I basically paid 99 cents for an unlimited supply of ringtones. The great thing about Ringtone Designer Pro is you can pick whatever song you want to use that is already on your iPhone, you can also choose what part of the song you want as the ringtone, and also how long the ringtone will be. This app also allows you to make ringtones for your text message alerts. This app is great simply because when someone calls I can jam to my favorite tune, and I can select specific songs for specific contacts. Now every time someone calls my phone I can jam to “Fire” by Jimi Hendrix. Let me stand next to your fire!!! 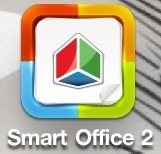 Smart Office 2 is basically Microsoft Office for the iPhone/iPad. I haven’t really used this that much, but once I get an iPad I know I’ll be using this app all the time. I have used it a couple of times recently, to do some last-minute editing on some word documents I had in my email. You can not only view, edit, and create Word documents, you can also view and edit Excel and Powerpoint files. This app is also compatible with many other file types such as PDF, JPEG, BMP, GIF, PNG, WMF, and EMF. I think the best part is though, you can print your document wirelessly, the app comes preloaded with software which allows you to print from thousands of different printers from 34 different manufacturers. This app is normally $9.99 so get it while it’s still cheap! OverDrive Media Console is a great way to check out books from your local library. With the OverDrive app you can checkout many different books from your library and you can choose a checkout date of 1 or 2 weeks. This is great if you are an avid reader and hate paying high prices for books. The books can be easily downloaded to your iPhone through the OverDrive app. Check with your local library to ensure that they have a subscription to OverDrive before you download the app. That’s it for the Top 10 iPhone Apps. Please comment and leave your top 10 list, so I can check some new apps out that I may not know about. This entry was posted in Lifestyle, Technology and tagged Apple, apps, Genius Scan, iphone, iTunes, J, overdrive, PDF scanner, playerxtreme, Ringtones, smart office 2, smartphone, smartphones. Bookmark the permalink.